Theofficer in-charge of the Anti-Kidnapping and cultism unit of the Lagos State Police Command, Akinde Adejobi, has been removed over corrupt practices. Adjobi was removed by the new Commissioner of Police, Mr Edgal Imohimi, following allegations that he and other officers under him collected bribe from a suspect and sexually abused the younger sister of the suspect who brought food for the suspect. Police Public Relation officer, Mr Olarinde Famous-Cole, who confirmed the removal of Adejobi said he was being investigated over the allegations. A mother of two, Blessing Taiwo, had cried out to Imohimi, to save her from the hands of officers of the anti-kidnapping and cultism unit, who she alleged were threatening her after detaining her in a cell with hardened criminals. Taiwo also alleged that the police collected N50,000 for her bail and have seized her phone, insisting that she must pay a balance of N20,000 to make up the N70,000 demanded. The victim, who spoke through an NGO, Network on Police Reform in Nigeria (NOPRIN), also told the CP to look into the allegation by her sister who was sexually molested each time she brought food for her while in detention. National Coordinator of NOPRIN Okechukwu Nwangwuma, in a petition to Imohimi urged him to investigate the criminal allegations against the officer in charge of anti-kidnapping unit and other unscrupulous officers under him. Following the out cry and subsequent publications, the CP ordered the removal of Adejobi who is presently being held at the Command headquarters Ikeja while investigation has commenced. The PPRO in a statement made available to Daily Sun said: “The new commissioner of police has requested that all parties involved in the matter should come for interview at the police command today September 5, 2017 at 09:00am. Famous-Cole said that the CP has also directed that the Deputy Commissioner of Police In charge of State Criminal Intelligence and Investigation Department (SCIID), Panti, Yaba to commence discreet and indept investigation into the allegations against the unit. He said that to ensure impartial investigation, Imohimi has ordered the immediate removal of the O/C Anti-Kidnapping CSP Adejobi back to the command as he was worried about the allegations and wants justice to be done. He said: “The CP is reassuring Lagosians that officers found indicted by their actions or inaction as regards this matter will face the full weight of the police regulations. Taiwo was arrested since August 29, 2017 on allegation that she stole $50,000 belonging to her boss, Mrs Abiola Ojo Osagie with who she had worked for 10 years. Osagie claimed that she left money in a bag in her office and travelled for three weeks, when she returned from her journey, she claimed that the money was no more in the bag and accused Blessing of stealing the money as she had the key to the office. Daily Sun gathered that Blessing was first taken to the Ikoyi police station, where the Divisional Police Officer (DPO) after listening to Blessing ordered that she should be allowed to go home. It was after the Ikoyi DPO refused to detain Blessing that Osagie took the matter to anti-kidnapping and Cultism unit where she and her sister were allegedly dehumanised as Blessing was thrown into the cell with notorious criminals including a mad man who messed up the cell with faeces. 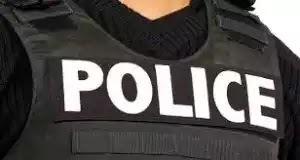 Not only did the police subject the victims to inhuman treatment, the policemen also collected N50,000 as bail and warned her to bring the balance of N20,000. Her sister also said that the policemen, instead of policewomen, would search her and fumble with her breast and put their hands in her private part whenever she brought food to Blessing in the cell.